The winners of the 2014 “Astronomy Photographer of the Year” competition have been announced at the Royal Observatory in Greenwich England, and British photographer James Woodend’s gorgeous image of the aurora dancing across the Icelandic night sky was named the overall winner. This is the sixth year for the competition, which is run by the ROG and the Sky at Night Magazine. Horsehead Nebula (IC 434). Credit and copyright: Bill Snyder, USA. The Horsehead Nebula (IC 434). Credit and copyright: Shishir and Shashank Dholakia, USA, Aged 15. For all the winners see the ROG website, and for other photos not shown here, you can see more at the Astronomy Photographer of the Year Flickr site . If you are in the UK, you can see an exhibition of the winning photos as the Astronomy Centre, Royal Observatory, Greenwich, from now until February 22, 2015. Find more info at the ROG website, where you can also find info about the competition for next year — start planning ahead! The overall winner in the Royal Observatory Greenwich’s annual Astronomy Photographer of the Year competition, M51 by Martin Pugh. 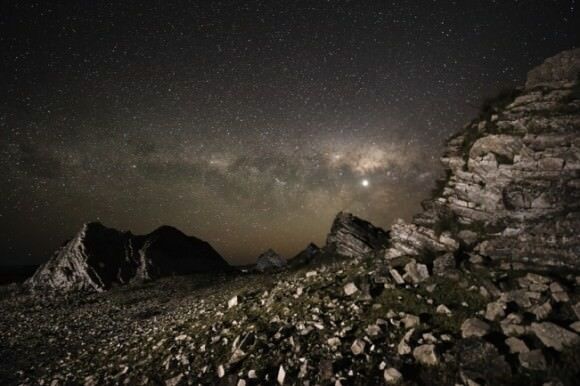 Want to see some absolutely gorgeous images of our Universe, all taken by amateur astrophotographers? Look no farther than the winners of the 4th annual Astronomy Photographer of the Year competition, held by the Royal Observatory Greenwich and Sky at Night Magazine. The winners were announced last night at the Royal Observatory, with a record number of entries received in 2012 from photographers from around the world. The overall winner was from Australian Martin Pugh with his beautiful and crisp shot of M51, the Whirlpool Galaxy. 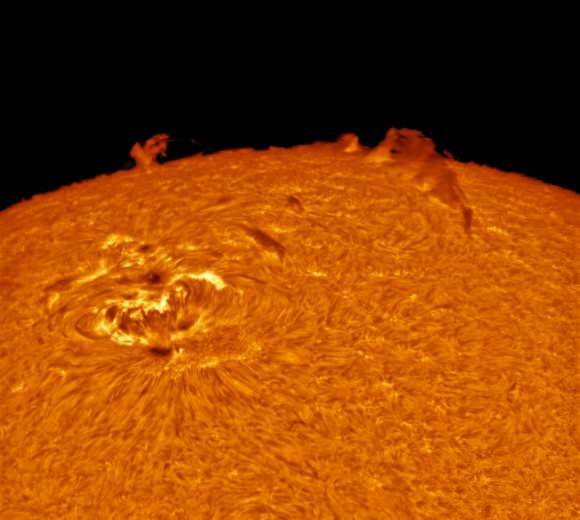 The “Our Solar System” category winner was Transit of Venus 2012 in Hydrogen-Alpha, by Chris Warren of the UK. Earth and Space category winner, “Orion, Taurus and the Pleiades” by Masahiro Miyasaka from Japan. The winner of the Earth and Space category was Japan’s Masahiro Miyasaka for his image of Orion, Taurus and the Pleiades forming a dramatic backdrop above an eerie frozen landscape in Nagano. Young Astronomy Photographer of the Year accolade was won by 15 year old Jacob von Chorus from Canada, who impressed the judges with his beautiful shot of the Pleiades, showing many of the hot young stars which make up the cluster and the swirling wisps of blue-hued gas. See more images of the winning and runner-up “Highly Commended” for each category at the ROG’s website. See here for information about how you can participate in next year’s competition. Congrats to this year’s winners!